This is a nice little Vietnamese restaurant nestled in a mall on Westminster Hwy. It’s really hidden from view from the road so I think that’s why they don’t get a lot of attention. That’s too bad, ‘cuz they’re really not bad at all. They’re a nice little clean restaurant. 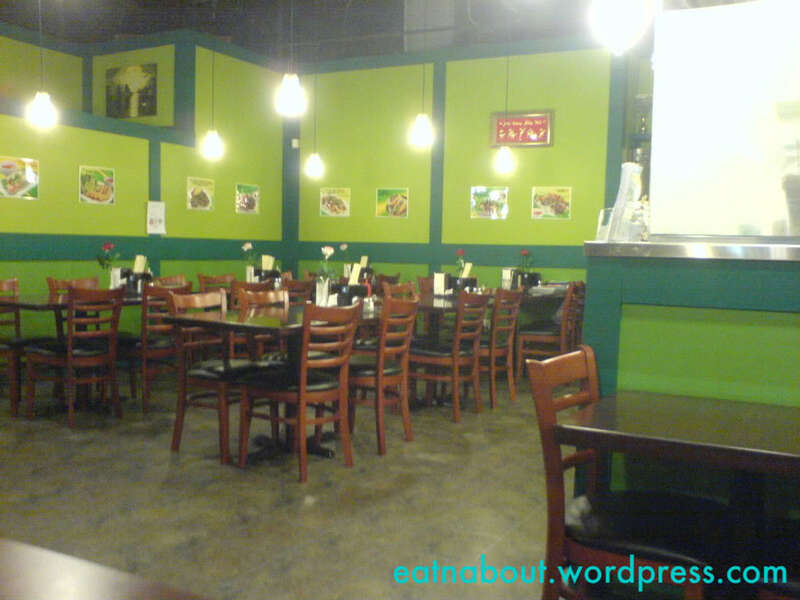 Ambiance is good, probably due to the green decor. The store was very fragrant when we stepped in. Service was friendly and fast. 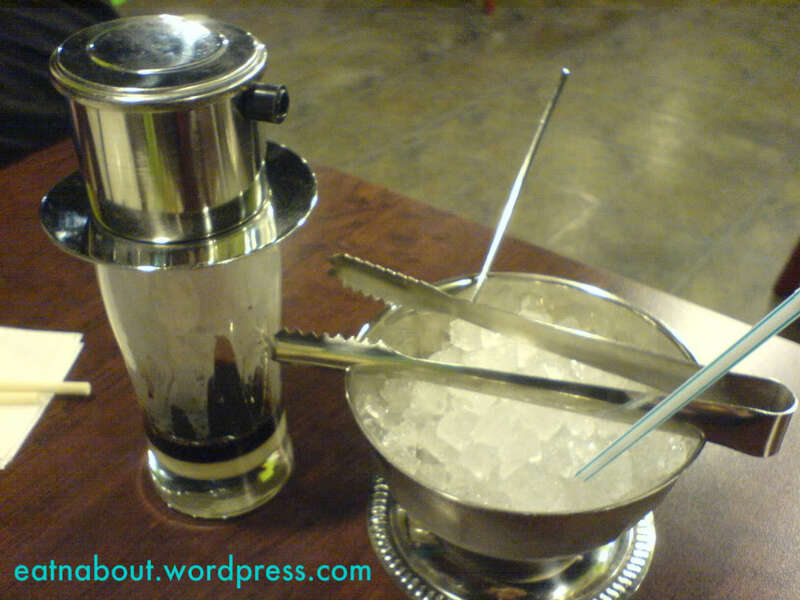 Vietnamese iced coffee is served with a bowl of ice. I don’t drink coffee, but Boyfriend loves it. He said it was good but not especially different from other similar restaurants. 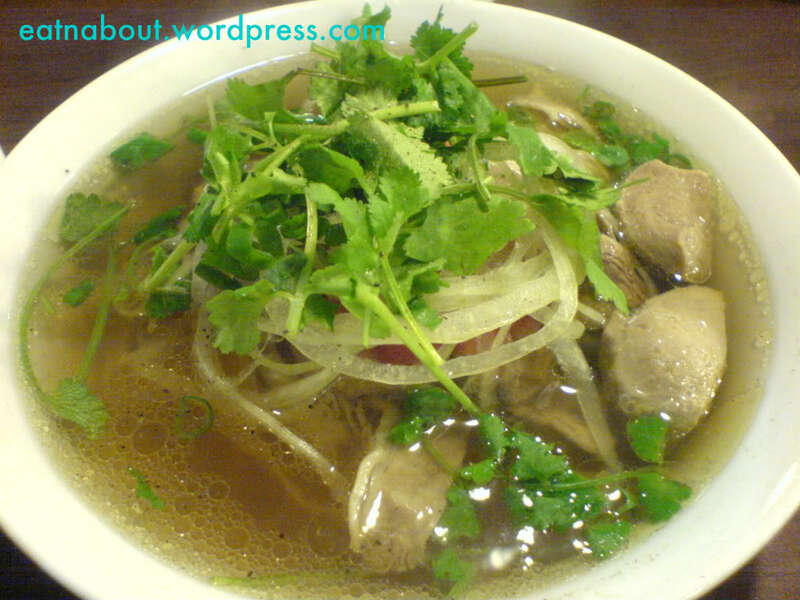 I had ordered the House Special Pho once again as always. As you can see, the soup seems a bit more oily than some other ones I’ve been to. However, upon sipping it it wasn’t especially greasy. The portion of noodles seemed a little on the small side though, but the other ingredients made up for that. 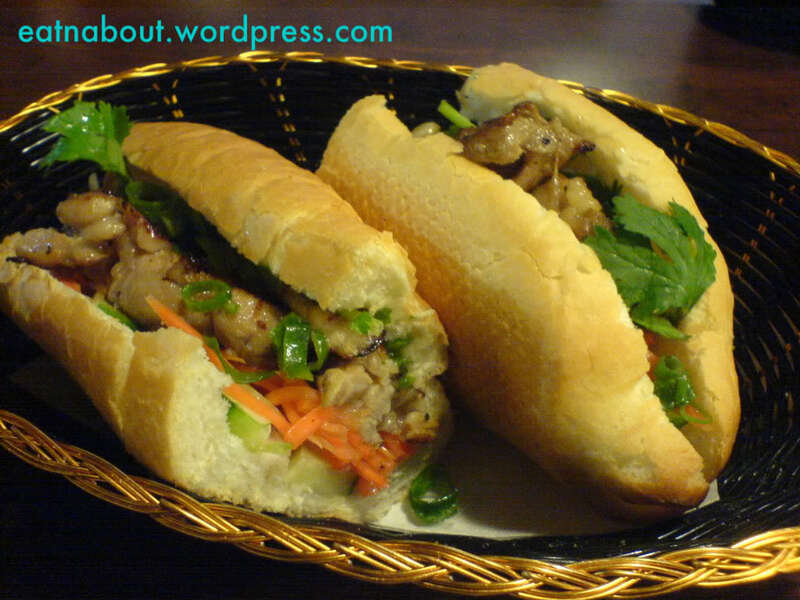 For some reason Boyfriend enjoys Vietnamese sub sandwiches more that pho. More often than not, he’ll just end up ordering two of these and call it a meal. This was the Lemongrass chicken sub. The meat was very tender and juicy. It could use a bit more of the pickled carrots and daikon though. Boyfriend also felt like ordering the Sugar Cane Shrimp too. It was weird how one piece was so much bigger than the other. Do you think we got ripped off? 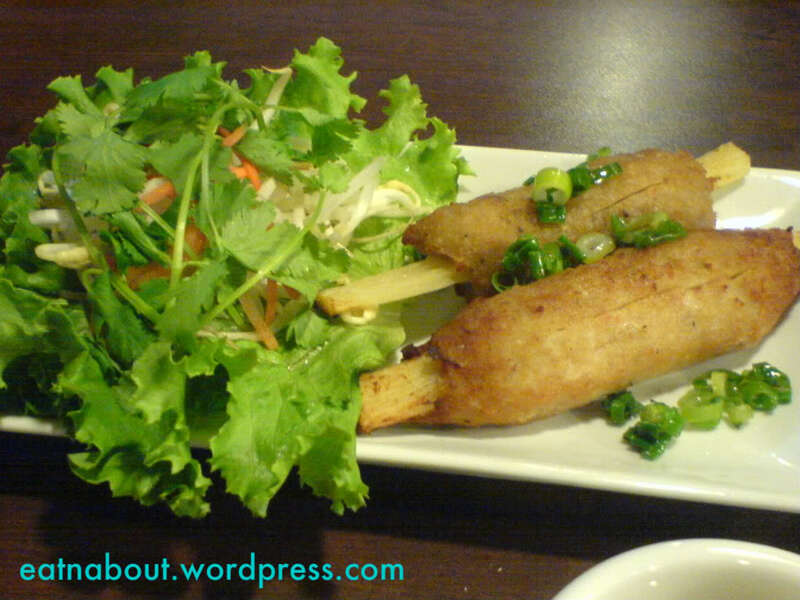 The sugar cane was young and tender, therefore it was very juicy. It also came with a lot of veggies. This was about $2.95 per piece I think. All in all the food’s ok. It is very likely we’ll come back if we happen to pass by and felt like pho.